We use a wide range of synthetic epoxy resins from the UK and Europe’s largest manufacturers all dedicated to quality of the highest standards and who all provide their own guarantees of performance and reliability. REME Industrial Flooring Ltd specialise in the specification and installation of hard wearing, synthetic epoxy resin flooring systems ranging from light duty coatings to heavy duty industrial screeds. Synthetic epoxy resin flooring is classified into eight specific types, each having their own particular performance characteristics. 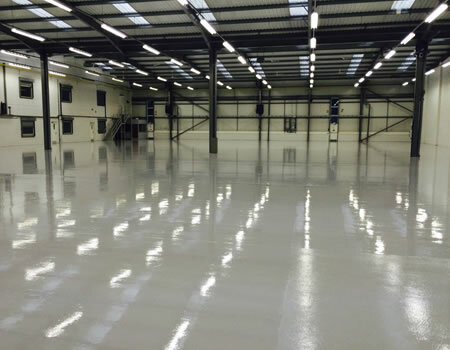 REME Industrial Flooring Ltd specialise in the installation of high quality epoxy resin flooring and polyurethane industrial and commercial flooring systems. All of our resin flooring screeds and coatings are developed by leading material manufacturers who provide their own guarantees of performance ensuring excellent reliability and long term durability. Please see Our Services and Product Guide pages for more detailed information on the resin flooring projects we carry out. If the information you require isn’t detailed or is more specific, please contact us for further no-obligation help and advice. 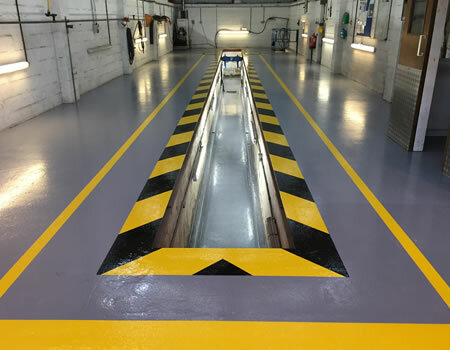 Epoxy Resin and Polyurethane flooring systems are particularly suitable for industrial and commercial environments such as Food Manufacture & Kitchens, Engineering, Warehousing, Healthcare & Hospitals, Aviation, Retail, Marine/Offshore and many other industries where a hard-wearing, attractive floor finish is required. 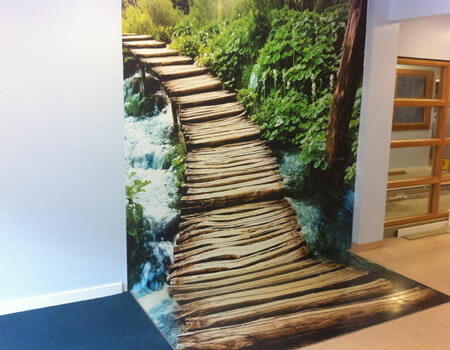 Properties such as anti-slip, anti-static and enhanced chemical resistance can also be incorporated where necessary. We use a wide range of resin flooring from major manufacturers, all dedicated to quality of the highest standards and all materials conform to BS5750 ensuring the client the very best. Please see our Product Guide, Resin Colour Guide, Flake Colour Guide and Floorgraphix pages for more information on the available systems. We would be pleased to provide you or your company with a free site survey, free specification and a free no-obligation quotation for any future work where you may feel seamless industrial or commercial resin flooring can meet your requirements. All of our quotations for industrial resin flooring include Health and Safety Risk Assessments, Method Statements and Data Sheets for the material specified.